Theatre Royal, Wakefield. Runs until January 6. 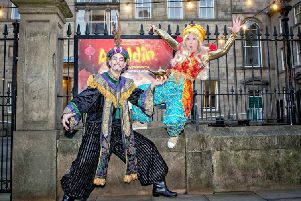 Panto fun continues at the Theatre Royal with Cinderella battling her ugly sisters and wicked stepmother to go to the ball. 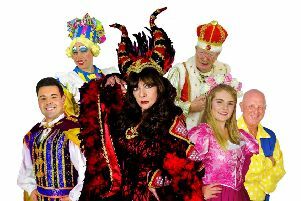 Tim Hannon, a favourite with Wakefield audiences is joined by Chris Chilton to play ugly sisters Gretchen and Griselda while Georgie Ashcroft is Cinderella and Luke Harley is Buttons. Prince Charming (Jordan Harrington),Dandina (Sarah Louise Hughes)and Brandi Himmelreich (stepmother).